Lesson Code: SER-804 (PREMIUM LESSON). 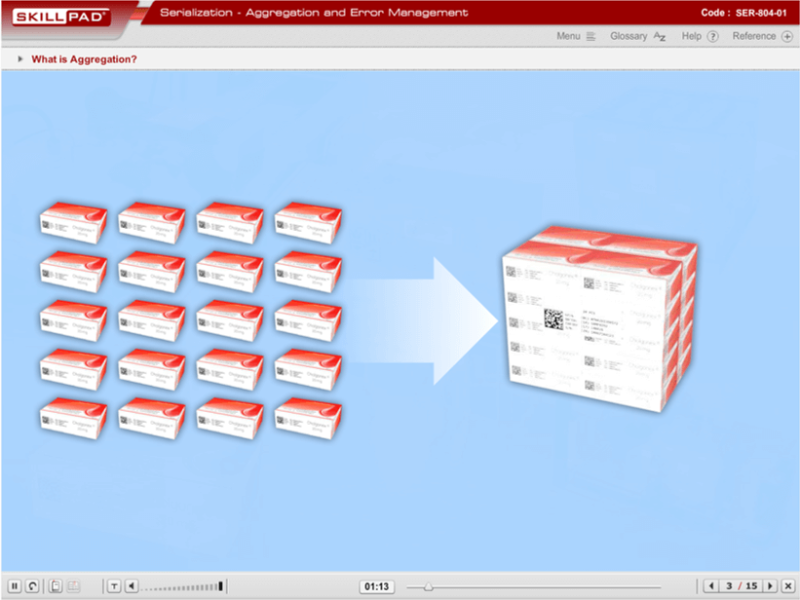 How aggregation in serialization is performed, along with aggregation-related concepts such as parent-child relationships and error management. 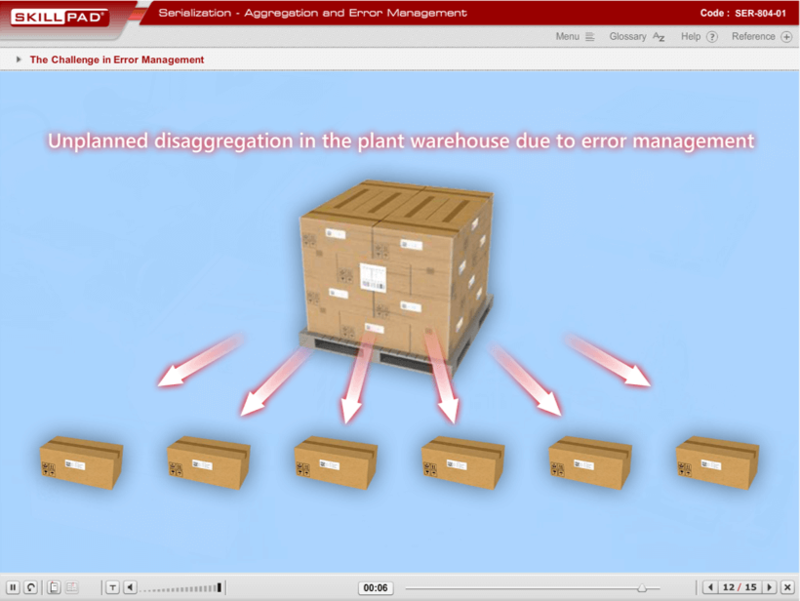 This is the first of a two lesson series (SER-804 and -805) that concentrates on the critical production line activities of aggregation, disaggregation and reaggregation. 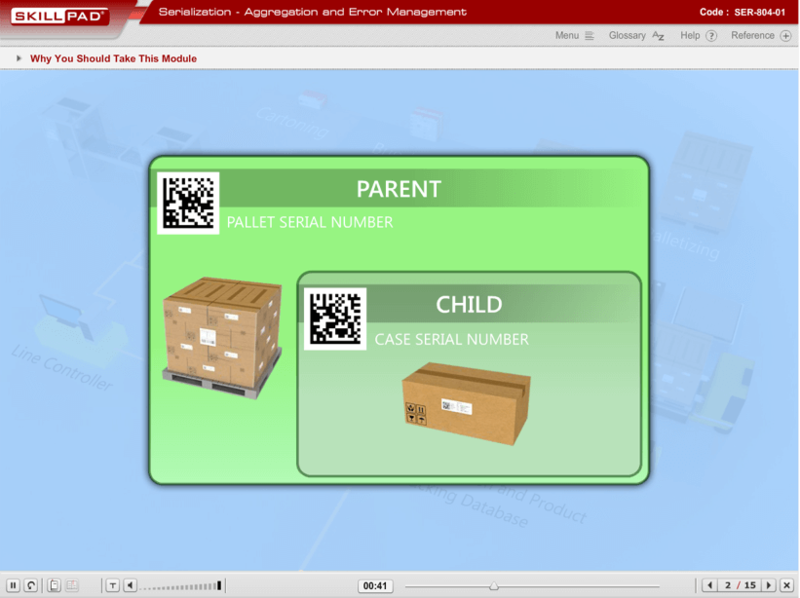 The parent-child relationship and layers of aggregation are described in detail as well as errors that can occur. 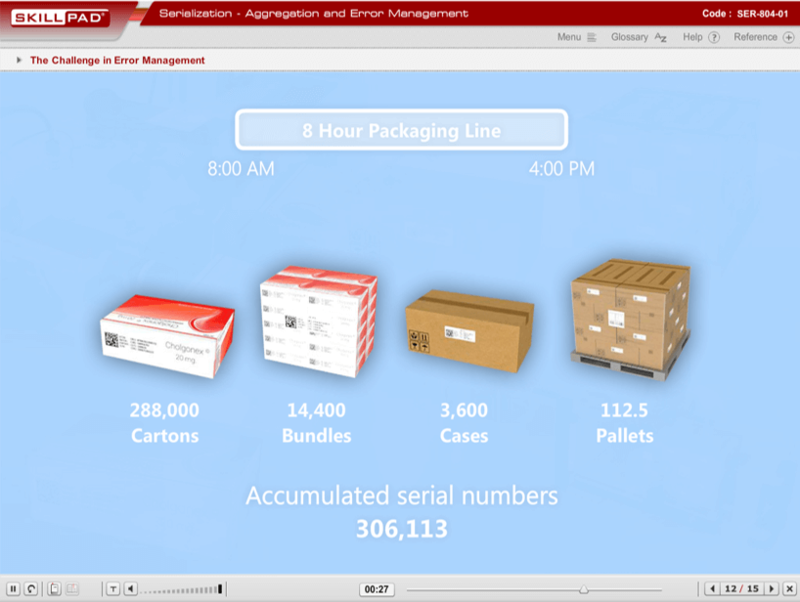 How items are serialized on a packaging line – items-bundles-cases-pallets – is explained. 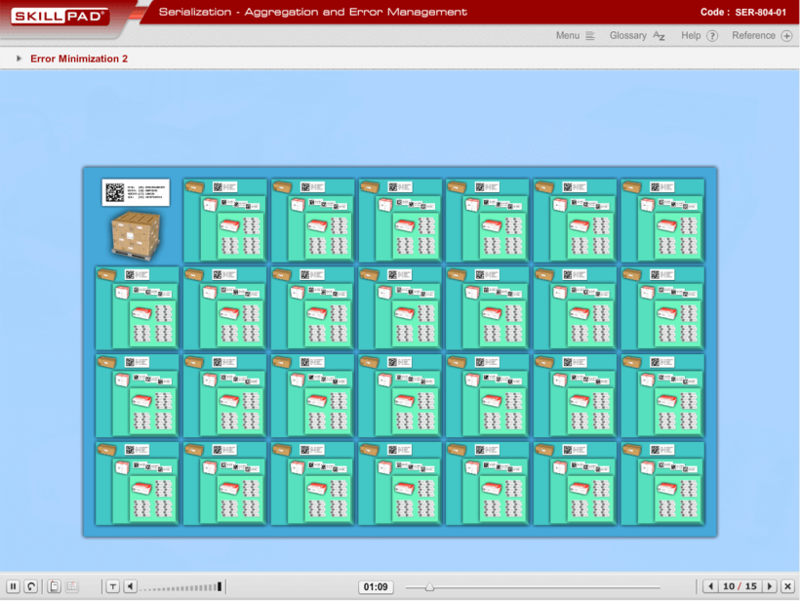 Strategies for error minimization are outlined and the learner will have the opportunity to apply the concepts learned through interactions and knowledge checks. Pre-requisites: A basic knowledge of serialization is assumed.